• The Chief Administrative Officer of the University and responsible to the Vice-Chancellor. • Responsible for coordination of the University’s strategic planning, policy formulation and implementation. • Responsible for supervision of the day-to-day operations of the offices within the Registry, including student admissions, examinations and records, Student Affairs, Human Resources and General Administration. • The Secretary to the Governing Council, the Academic Board and selected Statutory Committees of the University. 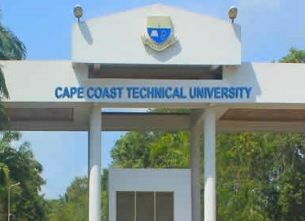 • Responsible for the custody of Cape Coast Technical University seal and for affixing same to relevant documents of the Governing Council and the Academic Board. • Responsible for the custody of all legal documents and records of the University. • Responsible for publishing policy decisions of the Governing Council and the Academic Board of the University. • The Registrar shall hold office for an initial term of four (4) years. The appointment may be renewed upon application for another term only or part thereof if that is not beyond the statutory retirement age of sixty (60) years. • Be a Chartered Accountant and hold a research Master’s degree in the relevant field. • Have at least twelve (12) years post-professional accountancy working experience in a tertiary institution, industry or any relevant public service or corporate organization. • Have served at least a Deputy Director of Finance in a University or comparable grade in a similar institution/organization for at least four (4) years. • Be a servant leader and be able to plan, organize, implement and administratively manage all activities related to the Finance Directorate. • Be able to provide sound advice to the Vice-Chancellor on all financial matters affecting the University. • Have extensive knowledge of Universities’ financial policies, procedures, controls and processes and best accounting and finance practice. • Have experience with a University’s accounting and finance software and records management in a manner that is consistent with the University’s mission and objectives. • Have wide experience in treasury management preferably in a University environment. • Have extensive experience in compliance with finance, accounting and tax regulations preferably in a University environment. • Be able to translate financial concepts and effectively collaborate with programmatic and fundraising colleagues who do not necessarily have finance backgrounds. • Be able to effectively communicate with students, staff and external agencies. • Be able to provide clear, practical and accurate advice to staff at all levels in the Finance Directorate on financial procedures and requirements.